Continuing my revisiting of my past writing, the following was a piece that I wrote in June of last year. Unfortunately there really isn’t much to update other then a missed opportunity. In last March the Canadian Ambassador to Iceland made a comment to a local broadcaster about the Canadian Government being willing to discussion the idea of Iceland joining the “loonie”. That May, the idea was again floated by Icelandic academics at a meeting in Toronto. Shortly thereafter the Canadian and Icelandic government official quashed the idea officially allowing Iceland to adopt the Loonie and more or less all talk of the subject went away. Now part of the problem is that the Canadian Dollars at the time and to this day remains strong with the Bank of Canada being one of the few banks not to adopt some form of monetary stimulus. As a result the base conversion from Krona to dollars would be a costly endeavor and since loonie fails to have the size advantages (US dollar and Euro) or comparable economic cycles (various Nordic currencies) this places our dollar at a disadvantage. That being said, there is still one glimmer of hope. In the April 2013 parliamentary elections a new centre right coalition was swept to power. Although official negotiations to form a government are still underway, both the Progressives and Independence Parties are considered to be Euro-skeptics and have promised to at minimum put future EU negotiations to a referendum, if not pull out all together. Should the people of Iceland vote no to the EU there may be an opening for Canada to act in order to form a “loonie-zone”. Although it came as a shock to many, the idea that Iceland – one of the hardest hit nations by the 2008 financial crisis – would call for adopting the Loonie, presents Canada with a unique opportunity in the 21st century. Following the collapse of the Icelandic economy, the Icelandic krona lost 60% of its value and the government was forced to place strict restrictions on currency exchange to prevent a flood of currency leaving the nation. Numerous options have been floated to solve the Icelandic currency dilemma and amongst these, the Canadian dollar carries some attractive features. Firstly, and most importantly from an economic standpoint, is that both Canada and Iceland share similar business cycles with their resource based export economies. Second, the current and ongoing struggles within the European Union and the questions of its future stability means that despite the ongoing ascension negotiations, the Euro may not be the best option for the Icelandic economy. Even the mighty US dollar faces a number of other serious concerns considering the political deadlock that grips Washington. Their economy that has been stuck in a rut since the 2008 recession and with the massive debt burden carried by the world’s last superpower, the once mighty greenback seems like less of an attractive option. From the standpoint of Canadian interests in allowing Iceland to adopt the Loonie, it holds very few drawbacks. The Icelandic economy is only a fraction of the size of Canada’s ($14 Billion vs 1.8 Trillion), so the negative impacts for Canada would likely be minimal beyond an increased demand for Canadian dollars, which would likely drive up its value. The Bank of Canada (BoC) would profit from the sale of Canadian dollars to Iceland, and as a result those funds can be added to the approximate 1.7 billion that the BoC adds to government coffers. The overall result of adopting the Loonie would in essence drive Canada and Iceland closer together beyond the realm of finance and lead to greater future integration. Canadians would be more likely to travel to Iceland (and vice versa) due to the parity of costs and the sizable Icelandic population (surprisingly many settled in Manitoba of all places) could directly assist their families back home by sending them currency of substantial value on the international stage. Canada already holds a free trade agreement with Iceland and the adoption of a common currency would see trade between the two countries increase as the ease of transactions between countries would be reduced resulting in trade growth – expanding beyond the 52 million dollars in annual exports that Canada sends to Iceland. It is likely that even politically, areas of common concern (such as issues before the Arctic Council or fisheries) would see improved cooperation and coordination. This new Canada-Icelandic relationship in turn would leave one arctic neighbour out in the cold, Greenland. Having in a 2008 referendum voted for additional powers of self-government away from Denmark, this arctic county, which yet again shares a similar economic cycle to that of Canada (natural resource based), has gained increasing control over the income from these natural resources. Currently, Denmark has not joined the Euro zone (which has partially spared it from some of the groups’ financial issues) but Greenland has recently begun discussions about introducing its own currency and leaving the Danish krone. This past May, Icelandic economists speaking on Bay Street on the topic of the Canadian dollar were quoted as saying that if Iceland adopted the Canadian dollar, Greenland would follow. Canada currently only exports approximately 14 million dollars to Greenland, but sharing a common currency would likely drive up that amount up and reorient Greenland away from its traditional European trade partners, which are carryovers from its time as a Danish protectorate. So the question becomes, in this time of economic austerity and poor growth, why isn’t Canada aggressively pursuing this option? True it may not make a dramatic change in the day to day lives of most Canadians, but there really isn’t a major downside for Canada in actively pursuing these nations into joining the Canadian dollar. The Government of Canada has many carrots to offer these countries such as a seat on the Bank of Canada Board of Governors (equal standing with each province) where they would have a voice on monetary policy yet not the ability to overrule the broad Canadian consensus. The wider integration that would follow the adoption of the Canadian dollar would be well worth the effort. Having three arctic nations united under a single currency would boast Canada’s standing on the Arctic Council, which could then be used to provide support for Canada’s claims in the region. 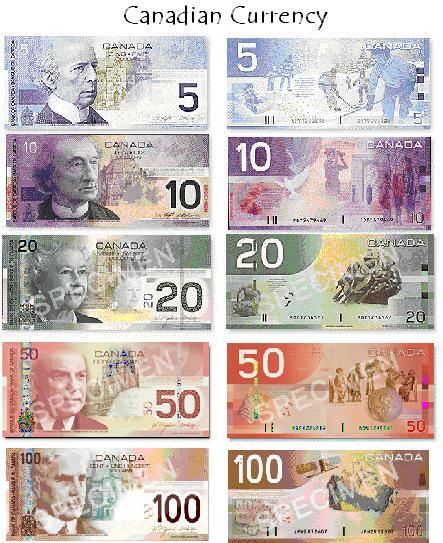 Having the Canadian dollar the valid currency for over 12.1 million square kilometres of the earth surface is definitely worth something; especially when large portions of this area will be the final frontier of economic development in the 21st century due climate change.